The annual exam is one of the most important appointment of the year for your pet. It is recommended for all new pets, healthy pets, senior pets and pets with ongoing disease. The history and physical examination are the veterinarian’s tools to detect current and upcoming health problems. If you suspect a health problem in your pet, the first step towards a diagnosis is to go over the history and physical examination with a veterinarian. 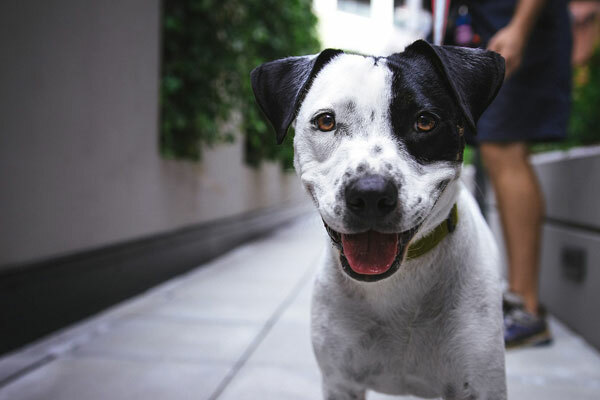 Our veterinarians may ask you many questions regarding your pet’s history, including: behavior patterns, travel, lifestyle, changes in urination and defecation patterns, diet, exercise and more. Owner’s questions and concerns are often addressed at this time. The physical exam is a comprehensive assessment of your pet. Our veterinarians will assess your pet’s eyes, ears, nose, and mouth. Based on the history, an ophthalmoscope or otoscope may be required for a more detailed view. A stethoscope will be used to listen to the heart and lungs for abnormal sounds which may indicate disease. The abdomen will be palpated, allowing evaluation of the intestines, bladder, spleen, and kidneys in some cases. A full examination of your pet’s coat and skin to investigate any abnormal lumps or bumps, hair loss, itchiness or discomfort. Depending on the findings, we may perform further examination to assess specific body systems. Based on your pet’s history, lifestyle and physical examination we will make specific recommendations on different vaccines and parasite prevention; this is the core of preventative medicine. If abnormalities are found during the annual exam, further diagnostic or treatments may be recommended. Early diagnosis and sound preventative medication allows veterinarians to begin treatment in early stages of disease, often prolonging the length and quality of life for pets. As our pet’s caregivers, we are charged with doing everything within our power to keep them happy and healthy for as many years as possible. The best way to achieve this goal is through ongoing wellness care. When we are able to examine your pet on a regular basis, we are able to both manage their current health and monitor that health over time. Wellness care provides the opportunity to both prevent illness and detect it in its earliest stages, so we can address it before it develops into a more serious and costly problem. Bayridge Animal Hospital places a strong emphasis on wellness and preventative care, because we want to see each and every patient we serve enjoy a long, fulfilling life. That’s why we’ve worked so hard to develop comprehensive HEALTHY PET PLANS that contain all of the essential services needed to support a lifetime of good health for your pet. From that first round of vaccinations for your new puppy or kitten to ongoing health maintenance through the adult and senior years, we’ll be here for you both, every step of the way. Our Healthy Pet Plans offer you the option of registering for a full year of comprehensive preventive health care, as recommended by our veterinarians, in a convenient and affordable monthly payment plan. Proactive preventative health care plans can vastly improve the length and quality of your pet’s life. Would you and your pet be interested in a Healthy Pet Plan? If you are looking to provide all the vaccines required for your companion, unlimited comprehensive physical examinations, and annual preventative health care in a convenient and affordable monthly plan – the Healthy Pet Plan is for you! ○ Have the security of knowing the care your pet will receive in a full year. ○ Free unlimited examination to give you peace of mind if your pet needs to be seen by a veterinarian. With the added bonus of unlimited nail trims for that 12 month period. ○ Save money on preventative health care services your pet will receive. ○ An affordable way to budget for your pet’s health care needs – monthly payment plan. Each Plan offers a full year of preventative health care based on the individual’s pet needs (ie. Kitten/Puppy vs Adult). Surely you’ve heard the term “you are what you eat”, but did you know that this same concept can also be applied to our four legged friends? Good nutrition and a healthy weight play important roles in your pet’s wellbeing. Yet, with so many food products to choose from, and little reliable information about weight control, many pet parents find this aspect of their pet’s health care downright confusing. With the right team in your corner, it doesn’t have to be! 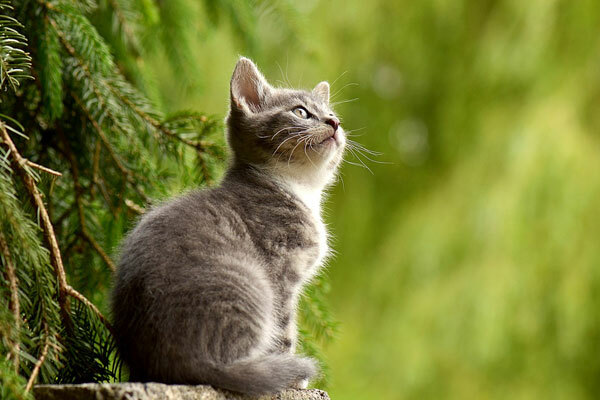 Bayridge Animal Hospital offers complete pet nutrition and weight management to help your loved one reach his or her fullest potential and enjoy optimum health for life! The first thing we need to address is your pet’s diet. The right nutritional balance can do everything from improving performance to boosting the immune system to helping to manage certain chronic medical conditions. To determine which food is right for your pet, we will conduct a thorough physical exam and consider a number of important factors, such as breed, age, weight and present health status. This will help us to provide a professional recommendation on what food, as well as how much and how often, you should be feeding your pet for best results. The next important step is figuring out what your pet’s ideal weight range should be. While chubby pets may look adorable, those extra pounds can actually place your pet in harm’s way. Companion animals that are overweight are at a higher risk of developing a number of serious medical conditions, such as diabetes. Likewise, pets that don’t weigh enough could be more prone to illness or injury. We’ll determine what weight is healthiest for your pet and work with you to develop a plan for achieving that target number. As your pet ages, his or her health care needs will change – including those associated with diet and exercise. At certain intervals during your pet’s lifetime, we will re-visit our approach and make any necessary adjustments so that we continue to achieve the results we’re after – a healthy, fit and happy pet. You have the power to help your four legged friend enjoy a long, healthy life. Put our professional pet nutrition and weight management services to work for you. You’ll both be glad you did! Just as with humans, not every illness or injury your pet may suffer from can be easily detected on the surface of the skin. That’s why veterinary diagnostics are so important. These tools allow us to delve deeper to identify, diagnose and treat health concerns in a timely manner, improving your pet’s chances of returning to a normal, healthy lifestyle quickly. At Bayridge Animal Hospital, we offer a full range of comprehensive veterinary diagnostic services to help us keep our patients as healthy as possible throughout their lives. Our state-of-the-art hospital is fully equipped to provide diagnostic and therapeutic services to care for your pet’s complete health care needs. 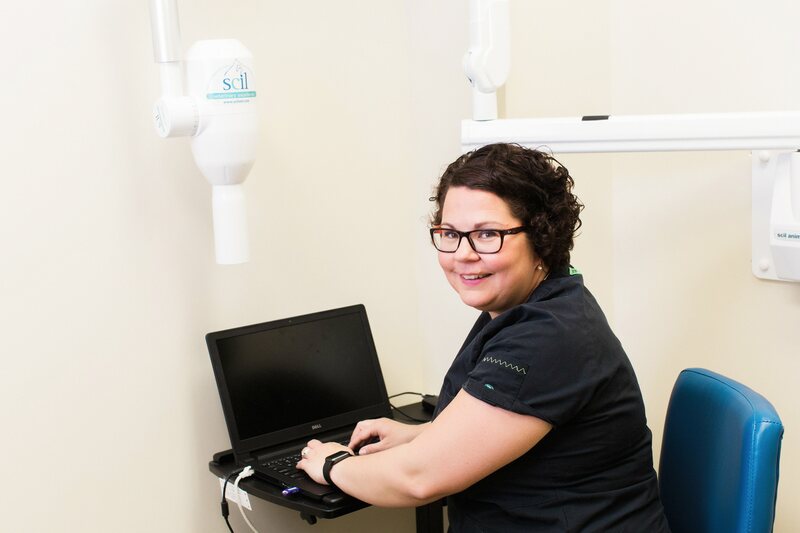 Our on-site, modern x-ray equipment provides high quality radiographs to aid in the quick diagnosis of many disorders, and we also offer ultrasound using the most up to date equipment available. For heart related testing, we provide electrocardiography (ECG) services on-site, as well as consultations with cardiology specialists as needed. 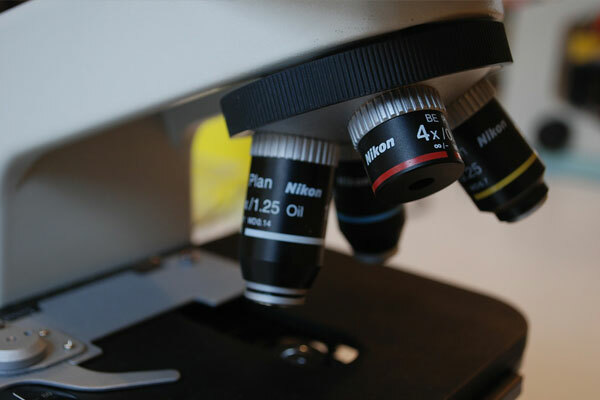 Finally, our in-house laboratory facilities allow us to quickly and accurately process test results for serum chemistry, hematology, serology, urinalysis and parasite testing. We also utilize commercial veterinary laboratories for specialized diagnostics and consultations. 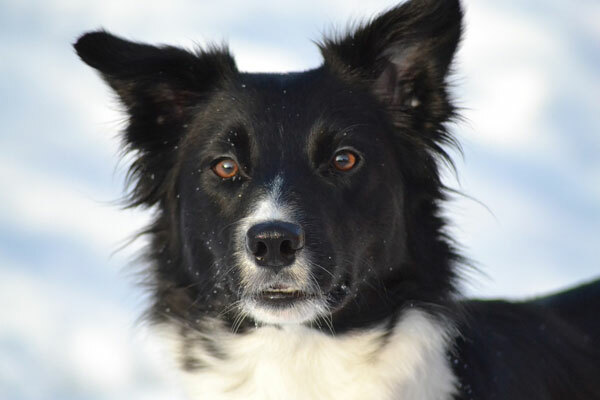 Whatever may be ailing your four legged friend, rest assured that we will do whatever it takes to identify and address the problem as quickly as possible. Keeping your pet’s teeth and gums clean plays a critical role in their life and longevity. Minor problems like plaque and tartar can develop into dental disease, which, if left untreated, can lead to a host of other more serious health conditions throughout your pet’s body. 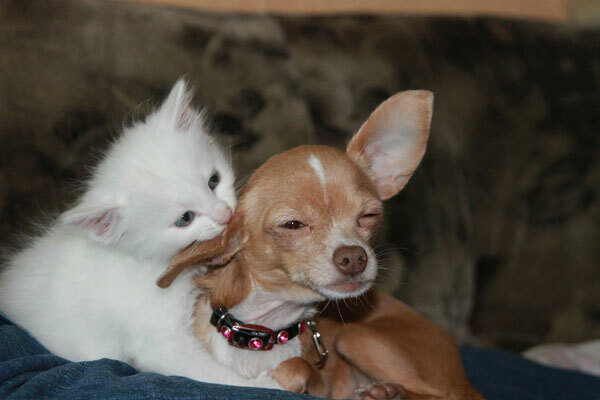 At Bayridge Animal Hospital, we take the oral health of your four legged friend seriously. 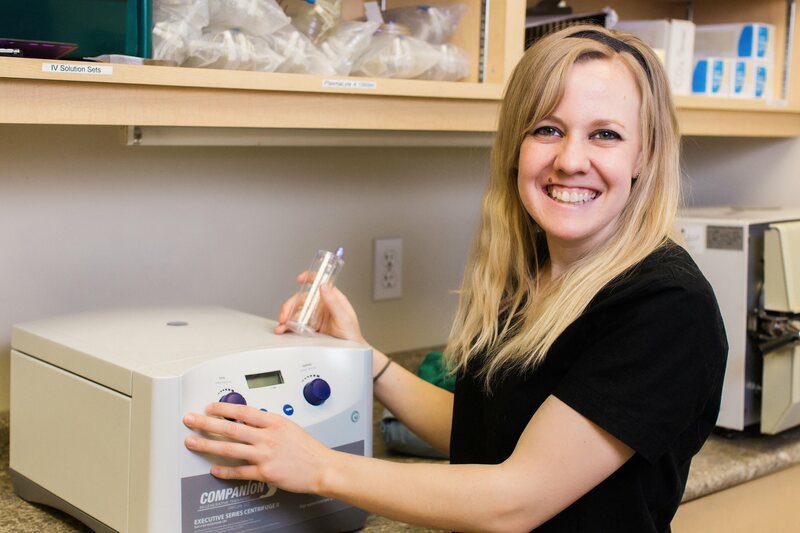 Our staff is highly skilled in the most modern veterinary dental care techniques and we are dedicated to taking a preventative approach to keeping our patients’ teeth and gums healthy. Our comprehensive pet dentistry services include routine preventative care, such as comprehensive dental exams, teeth cleaning and polishing, as well as the advanced treatment of existing oral health problems, as through tooth extractions and minor oral surgery. We will also work with you to provide advice and guidance on how to keep your pet’s mouth clean and healthy at home, in between visits. Together we will form a team that focuses on helping your pet enjoy a lifetime of good dental health. At Bayridge Animal Hospital, we understand that surgery, no matter how routine, can be a challenging time for both you and your pet. That’s why we work so hard to make each and every procedure as stress-free an experience as possible. Our highly trained veterinary staff is skilled in the most modern surgical care techniques. More importantly, our focus always remains on the safety and comfort of our patients. A thorough physical exam is conducted on each patient before any surgical procedure to ensure that they are healthy enough to proceed. We also adjust the amount and type of anesthetic used depending on the health of each patient, so you’ll know that your pet’s pain management is designed specifically for them. We use only the safest, most effective anesthetics with the goal of keeping your pet as pain-free as possible while also minimizing risk. We are the only practice in Eastern Ontario to offer the Tight Rope Cranial Cruciate Repair of Ruptured Cranial Cruciate Ligaments for dogs over 40 pounds. This is the most common orthopedic injury in dogs and we offer a less invasive and less painful technique that was developed at the University of Missouri Veterinary School. This state-of-the-art procedure results in a quick recovery to normal leg function compared to more invasive techniques that are still commonly used. When your pet’s surgery is complete, we will carefully relocate them to our quiet recovery area. There, we will continue to monitor them as they begin to awake from the anesthesia. Someone from our team will contact you to explain how the surgery went and arrange a pick up time for your pet. Before bringing your pet home, we will advise you on appropriate post-surgical care, including a plan for pain management. We want your pet’s recovery to be as comfortable and as timely as possible. If you’re nervous about your pet’s upcoming surgery, we want to set your mind at ease. You can rest assured that when you bring your pet to Bayridge Animal Hospital for surgery, he or she will be in excellent hands with our capable, compassionate staff. No loving pet owner ever wants their furry friend to experience a medical emergency, but these things happen. The most important thing you can do is be prepared ahead of time and know who to call in your time of need. Bayridge Animal Hospital offers emergency care, during our open hours. Our hospital and staff are prepared to deliver exceptional urgent care when it’s needed and facilitate any transfer that may be necessary to our affiliated after-hours clinic. We will do everything within our power to achieve a positive outcome for your pet. Emergency care is available any time during our normal office hours as well as after-hours, through our partnership with the Kingston Regional Pet Hospital. If your pet is experiencing any of these things, seek medical attention immediately. Whenever possible, we always recommend calling first before bringing your pet in. This allows us to assess the situation, provide advice on first aid that you can administer in the interim, and prepare the hospital for your pet’s arrival. Of course, should the emergency be too urgent to warrant a call ahead, do not hesitate to bring your pet directly in for care. If your pet experiences an emergency during regular business hours, please call our main telephone number (613) 634-2001. For after-hours emergency care, we are a participating member of the Kingston Regional Pet Hospital which solely provides after-hours emergency care. They can be reached after 6pm Monday through Friday, and all day Saturdays, Sundays and statutory holidays at: (613) 634-5370. We sincerely hope you never have to experience the need for emergency veterinary care, but in the event that you do, it’s good to know that you’ve got a team of experienced professionals here to help! 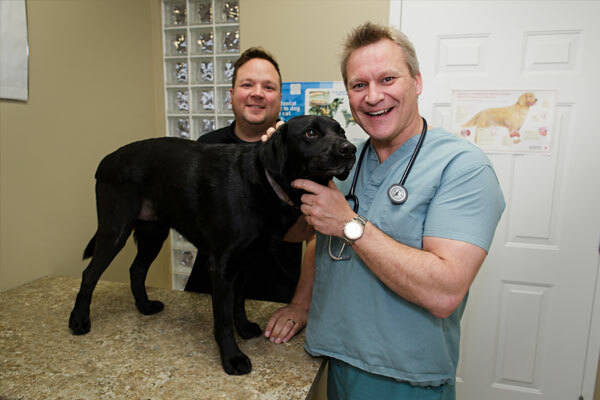 Bayridge Animal Hospital is a full service veterinary clinic that provides quality animal health care to the dogs and cats of the Kingston and Eastern Ontario areas. Our highly skilled, compassionate staff of dedicated veterinary professionals is ready and able to assist you and your pet with all of your veterinary care needs. Our commitment is to serve our patients throughout every life stage, from routine preventive care for young, healthy pets to early detection and treatment of diseases, and complete medical and surgical care as necessary during your pet’s lifetime. We were the first practice in Eastern Ontario to offer the Tight Rope Cranial Cruciate Repair of Ruptured Cranial Cruciate Ligaments for canine patients. This is the most common orthopedic injury in dogs and we offer a less invasive and less painful technique that was developed at the University of Missouri Veterinary School. This state-of-the-art procedure results in a quick recovery to normal leg function compared to more invasive techniques that are commonly used. We also offer around the clock emergency care for our valued patients. If your pet experiences an emergency during regular business hours, please call our main telephone number (613) 634-2001. For after-hours emergency care, we are a participating member of the Kingston Regional Pet Hospital which solely provides after-hours emergency care. They can be reached after 6pm Monday through Friday, and all day Saturdays, Sundays and statutory holidays at: (613) 634-5370. Did you know that underneath all that fur and fluff your pet’s skin can be just as sensitive as yours? In fact, companion animals are susceptible to many of the same dermatological conditions that humans can experience, including allergies and infections. Along with these external ailments, your pet may feel itchy, uncomfortable and even experience pain. You don’t want your special friend to suffer, and neither do we! That’s why we are pleased to offer professional pet dermatology services to help keep our patients as healthy on the outside as they are on the inside. Once we’ve accurately diagnosed your pet’s condition, we’ll get to work developing a customized treatment plan that will reduce and/or eliminate your pet’s symptoms once and for all. Our recommended treatment plans may include a number of options, such as the application of topical creams, the use of oral or injectable medication, supplements, therapy and, in rare cases, surgery. We may recommend one or several of these treatment methods if we believe a combination will help us achieve better results. For conditions that cannot be cured, but rather managed over time, we will work with you to develop a long-term treatment plan for your pet. While we may not be able to completely eliminate your loved one’s symptoms, our strategy will be to reduce them as much as possible, thereby improving your pet’s quality of life. If you notice any of these things, give us a call right away. Together we can help your four legged friend live a happier, healthier and more comfortable life!